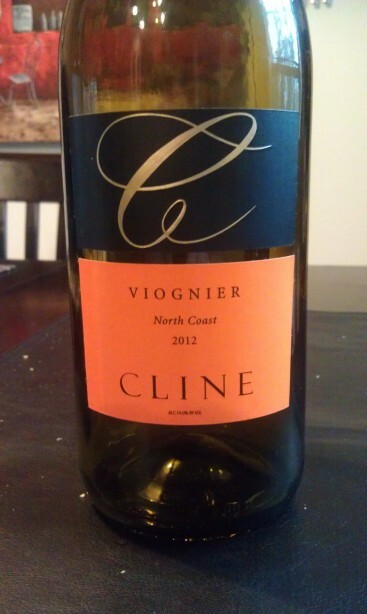 Winemaker’s Notes: Cline Viognier shows tropical and apricot flavors combined with notes of rose petals. This full-bodied, flavorful wine is an excellent match for Mediterranean stews, Thai curry, and spicy Mexican dishes. Serve lightly chilled. My Review: I drink a lot of Viognier, thanks to living in Virginia and the state producing quite a bit of it. Because of that, when some samples from Cline showed up and I saw there was a bottle of Viognier in there, I was certainly eager to try it and see how it compared to the Virginia Viognier that I was used to. My wife and I opened up the bottle to pair with some savory pies that I had picked up at a local store, Proper Pie Company. Seriously, if you’re reading this while living in Richmond and you haven’t been here, stop reading and go check them out – great pie. Among the pies that I picked up was a Thai Curry Chicken Pie, which seemed like the perfect pairing with the wine. In the glass the wine was light gold in color, and on the nose I picked up apricot. In the mouth the apricot was joined by tropical notes and had a good bit of roundness that I enjoyed while still remaining crisp enough for enjoying with food or out on the deck on a warm day. Paired with the pies the wine was great, particularly with the Thai Curry Chicken Pie as the wine features just a bit of residual sugar (.5%), not enough to make the wine “sweet”, but enough to let it cut through the bit of heat that the pie had. I really liked the wine, and considering the amount of Viognier that I drink, especially this time of year, that’s saying something. It’s a great value, and meets one of my goals in wine – it drinks better than its price. If you’re looking for a value Viognier that doesn’t drink like one, this is definitely a good one to check out.